Earn $12.79 in VIP credit. Click to Learn More. 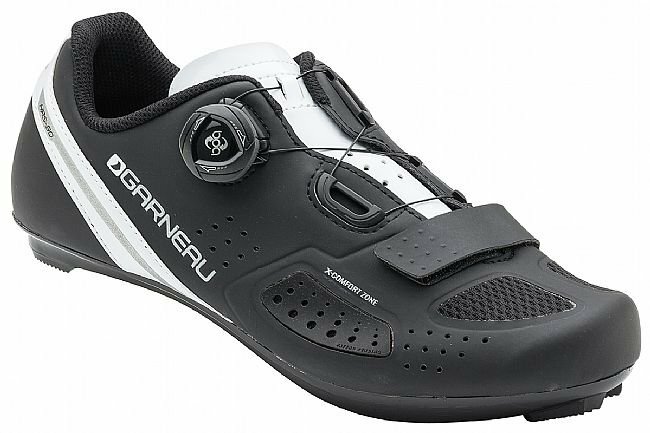 The Louis Garneau Women's Ruby II Road Shoe is designed to deliver unmatched comfort without skimping on performance. 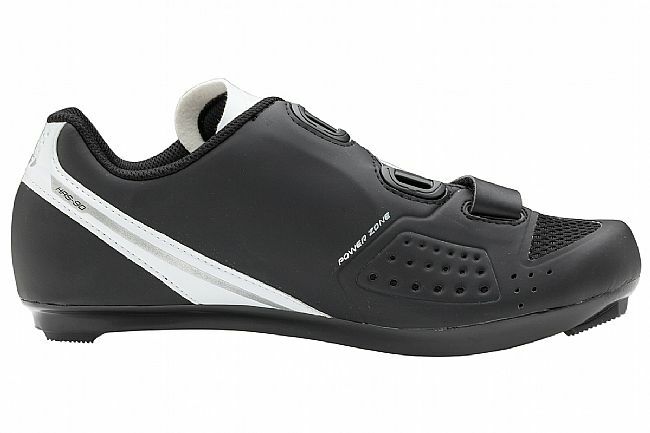 With their award-winning X-Comfort Zone technology, this shoe stretches around the foot for superior comfort, creating a dynamic, non-constrictive fit for a wide variety of foot shapes. In turn, this results in increased performance as well. Featuring a Boa® IP-1 micro-adjustable closure system, the Ruby II uses a forefoot strap for additional stability, delivering an impeccable fit in the process. 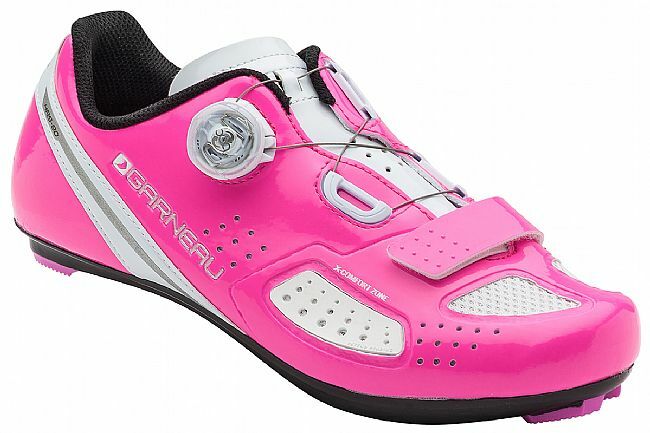 The Louis Garneau Women's Ruby II Road Shoe is compatible with 2- and 3-bolt cleats and pedals. 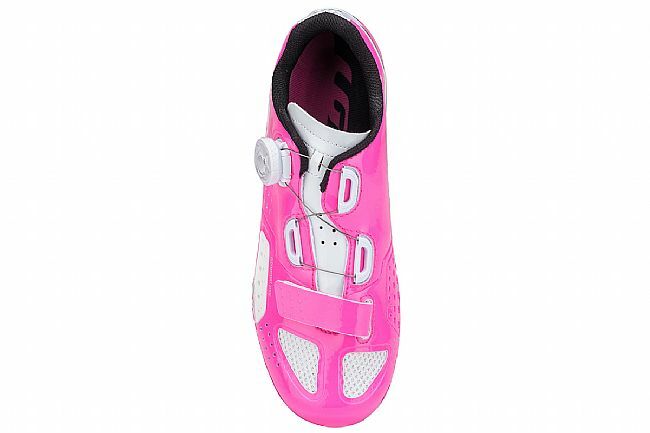 X-Comfort Zone features ventilated, expandable material to accommodate a variety of foot shapes. 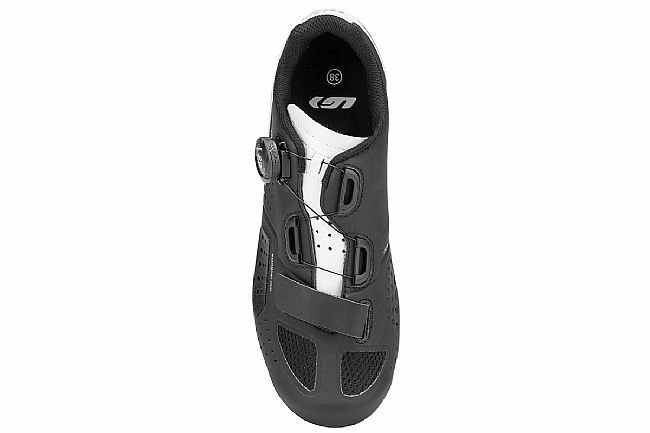 Boa® IP1-S two-way micro-adjustable closure system with forefoot strap. 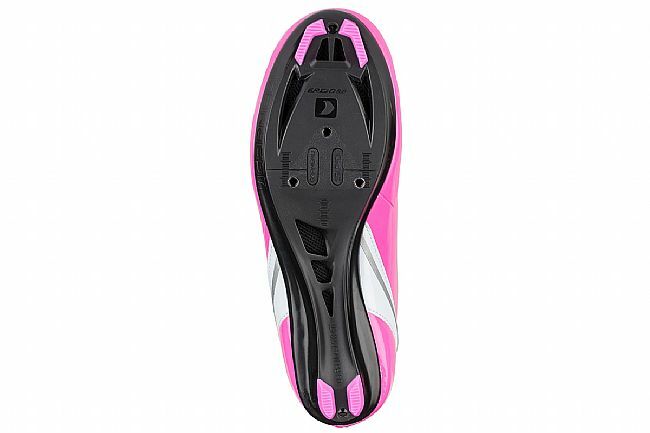 Injected nylon reinforced with fiberglass for optimal stiffness and comfort. 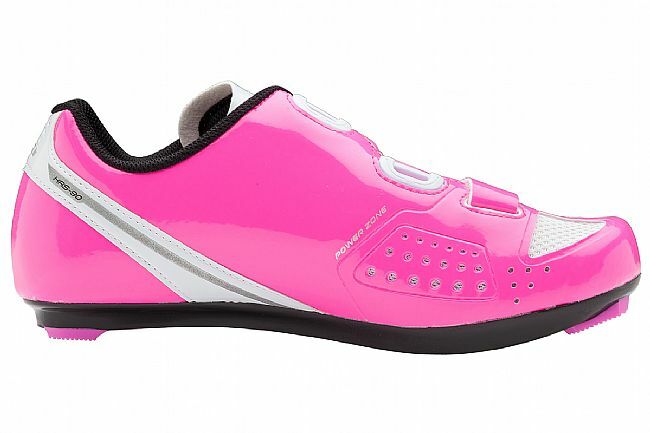 Claimed weight: 240 grams, size 38.